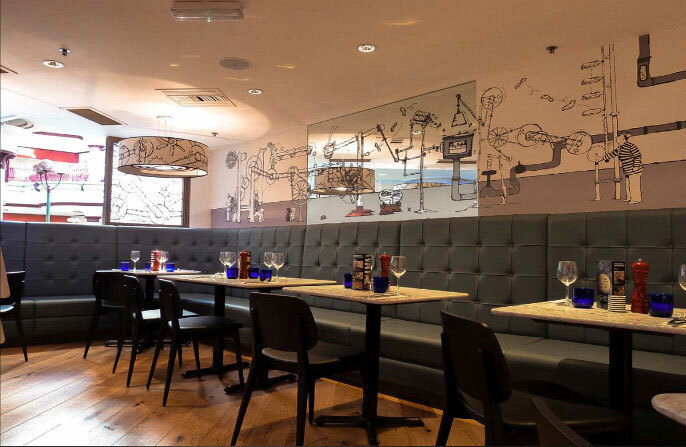 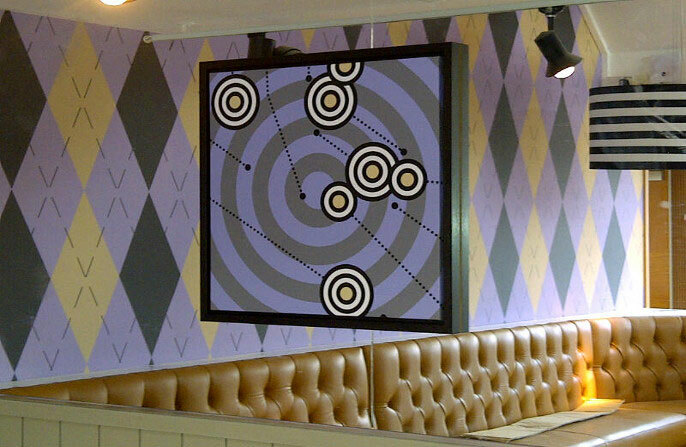 The graphics specialists at Oasis Graphics Co., in Berkshire, UK, were commissioned to assist in the redesign of the Pizza Express restaurant chain back in 2012. 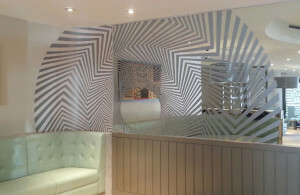 Their design/architectural clients were interested in their production and installation capabilities for the restaurants’ bespoke graphics in four locations. 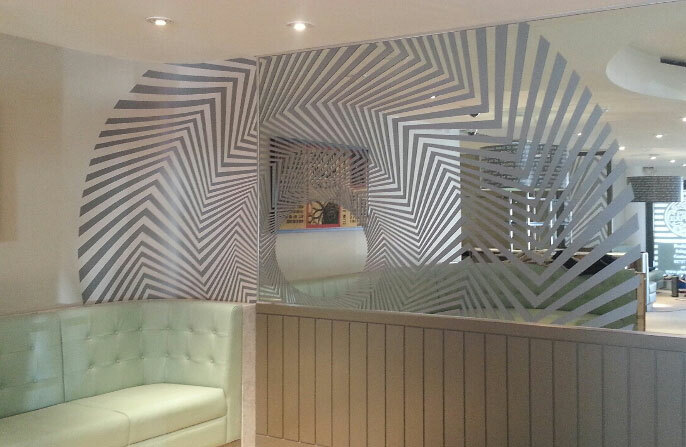 Each of the restaurants feature digitally printed wallpaper that is inspired by the town in which it resides. 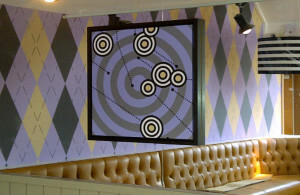 The Sunningdale Pizza Express location is golf-inspired, as the city is seen as the “English epicenter of golf,” utilizing Argyle-themed wallpaper and motifs of flags, holes and circular striped green. For the Bayswater location the designers chose a Peter Pan theme, whose author lived and wrote the story on Bayswater Road. The final location, Harrow, was inspired by the town’s most famous resident, W. Heath Harrow, a tremendous illustrator with a fascination of machinery. 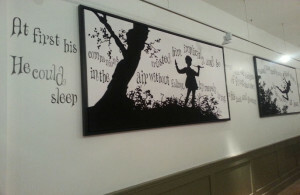 Information and Photography courtesy of © Oasis Graphics Co.